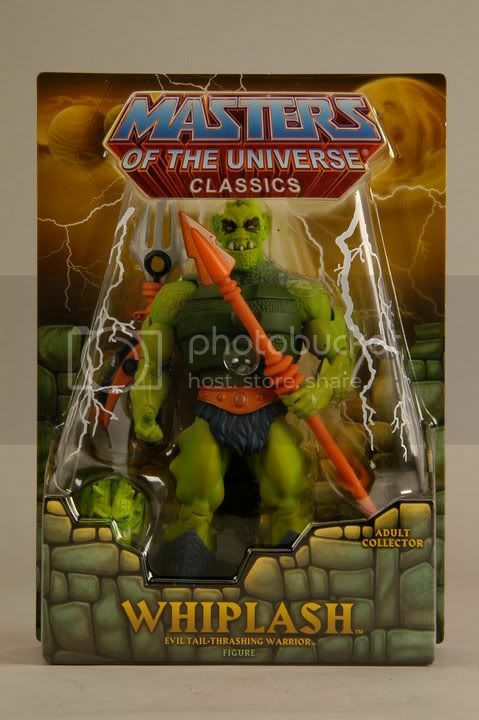 Matty Collector has updated their Facebook page with new in package pictures of the upcoming MOTU Classics figure Whiplash. 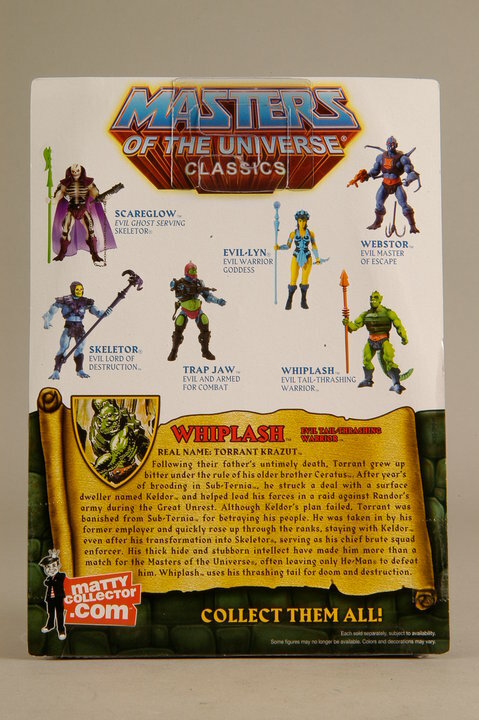 Whiplash is available for sale at MattyCollector.com in August 15th. 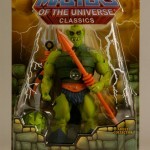 Whiplash goes on sale Aug 16th on Mattycollector.com! "...uses his thrashing tail for doom and destruction." Back when I owned the original, I never thought to call it the Tail of Doom. Not one of my favorite characters, but it was a fun gimmick nonetheless. EDIT: I just noticed that "Tail of Doom" is TOD, which is German for death. Whiplash just got +5 cool points. Woohoo Trap Jaw and Webstor are coming back. ... and Digital River will be working on Sunday? A weekend? Is that even possible?